“One of the greatest things about our community is the common bond we all share. There’s a brotherhood that exists within our unique passion that many people never have the opportunity to experience…The truth is, we are a family. And like a family, we laugh together, celebrate together, come together for one another and when the time calls for it, we take care of each other. We lost a brother this weekend. Those of us who have had the pleasure of knowing him will miss him more than words can describe. His passion, attitude and skating was nothing short of immaculate. It is an unspeakable loss for his family, friends, NYC, blading and the world. If you have had the pleasure to meet him once, or witness his skating, then you know what I mean. His energy was overwhelmingly positive at all times. He will be missed terribly. With everything that Alex’s family has been through this week, the last thing we want for them to worry about is funeral costs. Please join us in showing your support for our brother. 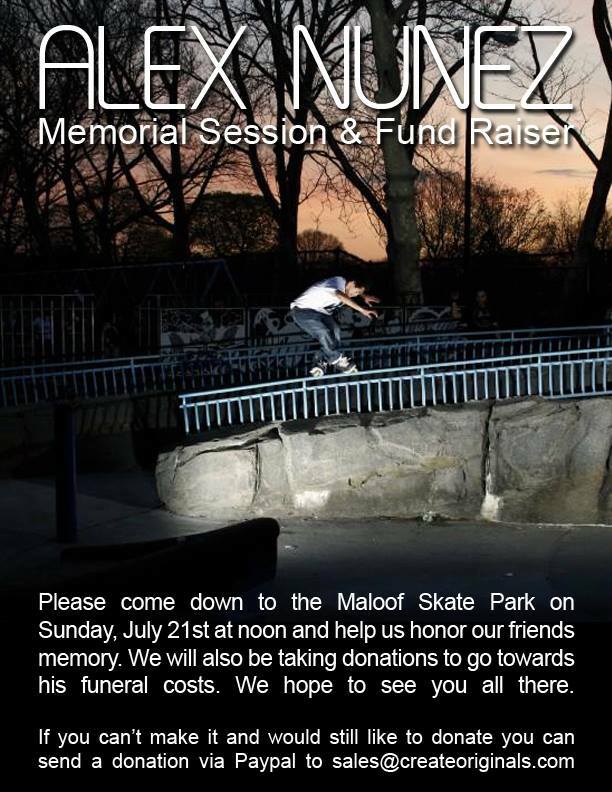 We will be having a fundraiser memorial session to honor his memory and raise some money for his family expenses, but to those of you who are not in NYC or will not be able to make it, we’re urging you to show your support by donating. We’re accepting donations to our Paypal at sales@createoriginals.com. Seriously, ANY contribution will help. Also, if you do decide to donate, make sure you send it as a “gift” so paypal doesn’t take a percentage of it. Thanks everyone, let’s pull together for the homie on this one. You will be missed dearly brother. R.I.P. Alex Nunez” – Billy O’Neill. Date: Sunday July 21st, 2013. Time: Session starts at 12PM. Location: Flushing Meadows Corona Park. Queens, NY. Train Directions: 7 train to Mets-Willets Point. Walking directions from the train station here. 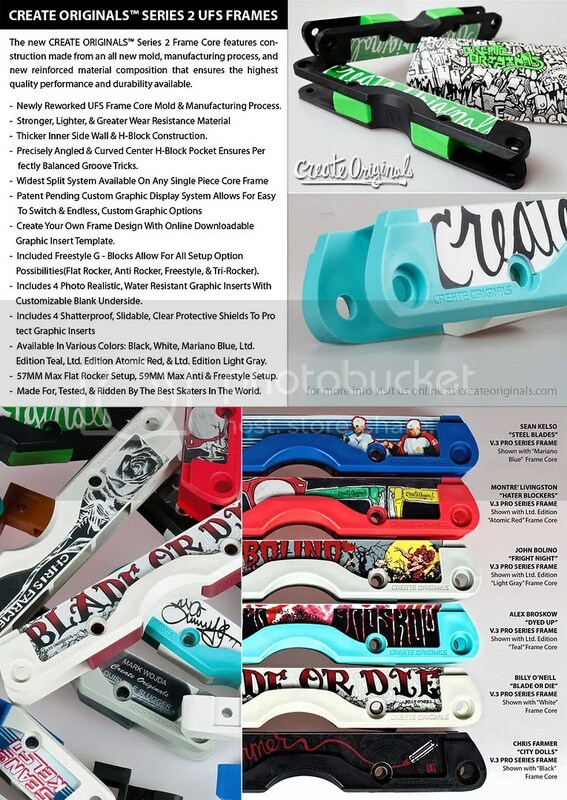 “Introducing, the Worlds First & Only Custom Ride System(CRS) Inline Skate Frame. Featuring Customizable Shock Absorbing Capabilities. The Spacer Sliders allow each attached inline skate wheel to independently move upwards against a small urethane dampener embedded in the frame wall. Vibrations from uneven pavement and the impact forces from harsh landings that occur while inline skating can be reduced or completely eliminated. This system can be precisely tuned to each individuals desired ride comfort & suggested weight specification. Some of the advantages of the CRS Frame include easy customization and fine tuning of the rider experience with endless options to potentially choose from. With such few parts involved it is also, without a doubt, the lightest suspension inline frame system ever created” – Create Originals. Find out more info and donate on the Create Originals Kickstarter page. CREATE ORIGINALS™ presents an online team video series, “Originals”. The third installment, Part 3, features Create am team rider Austin Paz, hailing from New York Citys’ Staten Island. Filmed in New York & Arizona. “After 18 years of blading, looking at things in retrospect, the past year alone has been an enormous upward spike for me in the game of life. With the help of amazing friends, and colleagues, I have this compilation of deals chopped together and ultimately created by the wonder team behind OG. The filming experience graced me the pleasure of getting closer with amazing people such as Sam DeAngelis, Cesar Macay, Hector “Tato” Ganzalas, & Dan Fabiano in particular who kept me motivated and were always ready to work around my wild schedule between being a therapist and a blader. The most important ingredient in the outcome of this short would have to be the work ethic and faith in the companies growth and direction. It is about embracing evolution to me. As far as the products go, I personally had minimal problems from the beginning. With constant renovations of the frame mold & compound; I’ve had more or less no complaints. They have survived my blading through the past year and it’s been a fun and fresh ride the whole way through. Always solid and always sliding. Thank you incredibly much to those I’ve mentioned and the dear friends that were around throughout those random sessions. Ya’ll know who you are. Thank you east coast, thank you west coast, thank you all coasts. Shred life” – Franco Cammayo. Create Originals has just released a look at their newest 2011 collection for Spring/Summer. The online catalog features NYC’s and CO AM rider Franco Cammayo sporting all the new gear. See a full detailed look at the collection on the Create Originals site. “We would like to thank everyone for the tremendous support and reception we have received so far. We have seen a growing demand for the frames and we couldn’t do what we do without everyone who has helped, what ever it may be, along the way. Because we are skaters ourselves we will always be dedicated to providing high quality, innovative products while continuously improving every aspect possible. 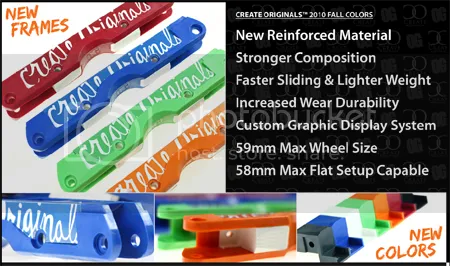 So we are now proud to introduce:The CREATE ORIGINALS™ 2011 Series 2 Custom Graphic UFS Frames: The new CREATE ORIGINALS™ Series 2 Frame Core features construction made from an all new mold, manufacturing process, and new reinforced material composition that ensures the highest quality performance and durability available” – Hakeem Jimoh. How did Create Originals come about? Create Originals is a project from me and two of my best friends, my brothers Brian and Hakeem. They used to do Nature skate video back in the day, and they used to own a skate park up in Boston way back. They were looking to start one back up and so they spent three or four years just saving up and saving up, not going out. Just putting it in the bank with the hopes of starting a skate park. Eventually they got enough money together so they were looking in to buying a park and all these problems and regulations came up and it turned out to be pretty discouraging. While all this was going on we were hanging out and I think it was Brian who was looking at a pair of frames and it just clicked in his head that we should do a frame company. So we all sat down and talked about it and what came out of that was Create Originals. The basic idea being, skateboarders have art on their decks even though when they grind it comes off, and this gives them the option to individualize their setup. So we wanted to give bladers the option to do that” – Billy O’Neill. See the full interview on the Kingdom Mag website. “The new CREATE ORIGINALS™ Custom Graphic Display UFS Frames feature improvements such as a new reinforced material composition which is much stronger, lighter weight, faster sliding, and has greater wear resistance. Other features include our revolutionary patent pending Custom Graphic Display System that allows the ability to change the look of your frames continuously. 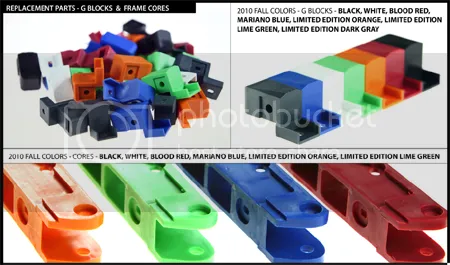 The frames also come in a new assortment of colors to choose from, adding to the already endless possibilities of customization. The frames hold a 59mm max wheel size on the outside wheels and 58mm max wheel size for flat rocker setups. There are only 100 sets of each of the limited edition(orange & lime green) color way parts, so get them while they are still available. 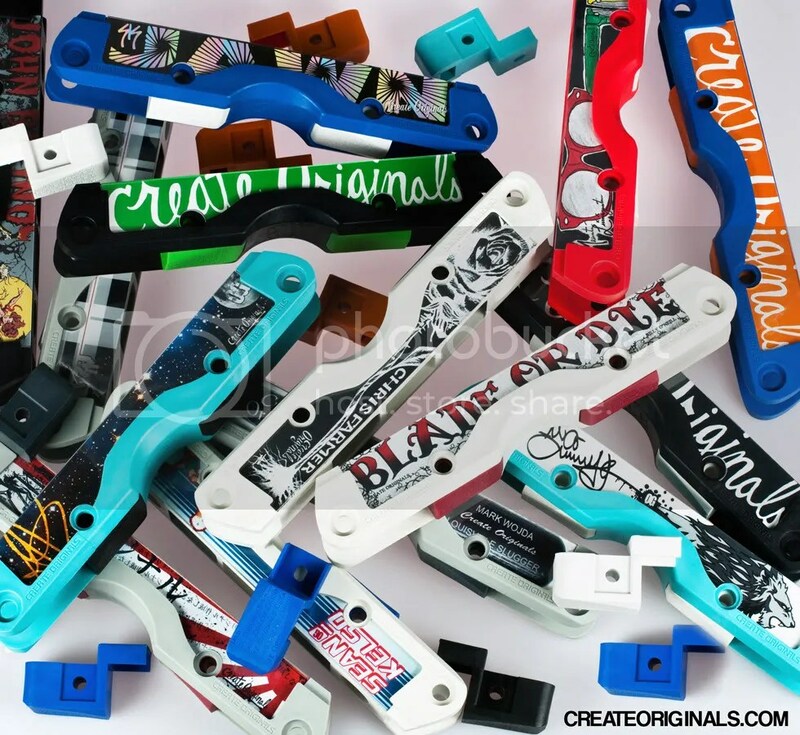 Also, stay tuned for the new line of Pro Series frames soon to be released” – Create Originals. See the Create Originals Fall 2010 catalog here. “While in NYC shooting the latest VYLE music video we decided to take it a step further and meet up with Fish (Billy O’Neill) to shoot an ad for his new Rollerblade frame company CREATE ORIGINALS™ based out of NYC. The whole thing was shot in Williamsburg NYC in less then one hour. 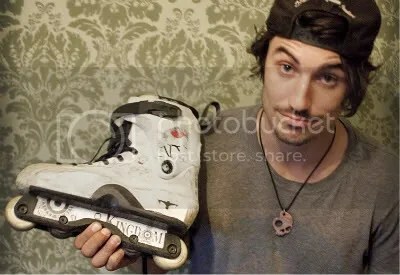 Fish has been skating non stop everyday for the last 3 months, not to mention at age 26 hes still going harder then anyone in the blade game. Fish is nothing less then a class act, and a positive inspiration for all kids with years of skating ahead. Keep up the good work Billy!” – Paul John. “CREATE ORIGINALS™ welcomes and introduces Montre’ Livingston to the 2010 Pro Team. Montre spent a few days filming with us and we announced his arrival to the team at the new Pier 62 skate park in money makin’ Manhattan. We put together an edit of not just what went down at the park but a bunch of street footage as well. Once again welcome to the team Montre and happy birthday! We are honored to have you join the ranks of the BADDEST team in blading! CO 2010. The 2010 Pro Team – Sean Kelso, Alex Broskow, Chris Farmer, John Bolino, Colin Kelso, Billy O’Neill, & Montre’ Livingston” – Create Originals. “As you may already know, Montre Livingston has officially joined the Create Originals team. Montre spent a few days filming with us, and we announced his arrival to the team at the new Pier 62 skate park in money makin’ Manhattan. We put together an edit of not just what went down at the park, but a bunch of street footage as well. Once again, welcome to the team, Montre, and happy birthday! We are honored to have you join the ranks of the BADDEST team in blading!” – CO 2010. See the full ONE Magazine press release here.